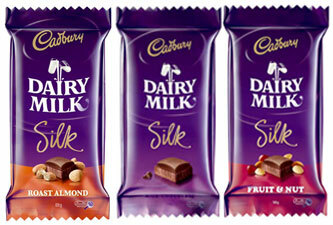 Eats, Feeds & Digs: Silk: The latest in a long line of iconic avatars from Cadbury's Chocolates. Silk: The latest in a long line of iconic avatars from Cadbury's Chocolates. Was scrolling through my emails a few days ago when I came across an email from Cadbury's asking me if I'd care to host a video of the results of their latest competition (The Silk Affair) for their new flagship brand Silk. 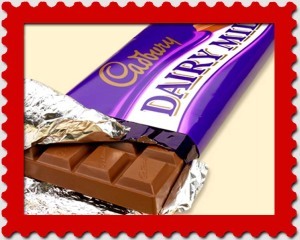 Now Cadbury is synonymous in India with chocolate and the most common method of asking for a chocolate in India is to ask, "bhaiyya ... cadbury hai?". Here 'cadbury' generically means chocolate irrespective of the brand!! Imagine the impact Cadbury's have had on India and the Indian public that all over the country this name is the word that spells chocolate! The next big thing was the Cadbury's 5 Star an absolute sensation with caremel and toffee all rolled up in smooth silky chocolate with very catch print adverts. The 5Star Bar soon bacame and absolute favourite and is available to this day in India. The 5Star Bar soon had competition in the form of the Double Decker Bar a bar with two distinct layers one with chocolate and crunchy cereal (puffed rice?) and one (the upper) with a sticky chewy white nougat. I was in love! Round about the same time Cadbury's introduced two creamy centred chocolates in slab form ... Caramello and Orangello .... Caramello is still available in Britain and Australia but the Orangello no one seems to have heard of outside off India ... even here it had a woefully short career. 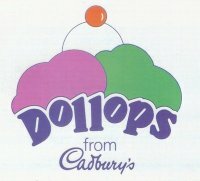 The 90's (actually 1989-1995) were perhaps the most startling for Cadbury's fans as Cadbury's entered the market with their own ice-cream brand Dollops ... they soon introduced bar shaped ice-creams called Dairy Milk, 5Star and Double Decker ... though these were a great hit and chocolate ice-cream has never been the same again in India ... Dollops soon closed shop and faded away. Leaving a load of fans in mourning. 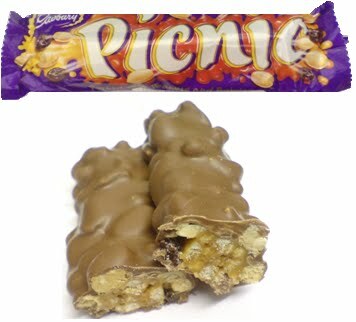 The next great thing to come out of the Cadbury stable was a lovely nutty, 'cereally', raisin filled bar coated with caramel and covered with chocolate - it was called the Picnic. 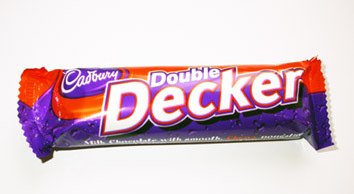 Launched with much fanfare in 1998 this really most healthy of chocolates was a hit with kids and teenagers. Sadly this too is no longer available. 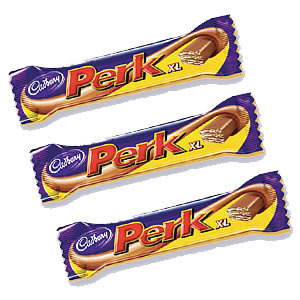 In 2000 Cadbury's launched Perk followed by Ulta Perk in 2007 ... they were reminiscent of Krisp and a direct competition to Nestles KitKat. Perk in its larger XL avatar. Ulta Perk had a soft chocolate centre surrounded by a biscuity covering. Through the years 2000 to 2010 Cadbury's concentrated on pushing it's bar chocolate through their brand ambassador Amitabh Bachchan and through a series of very punchy adverts on the telly ... including the now famous 'Pappu pass ho gaya' thereby re-positioning their flagship brand Cadbury's Dairy Milk chocolate. In 2010 Cadbury's launched a newer smoother, creamier chocolate called Cadbury's Silk ... as a diehard fan of the old school Cadbury's Dairy Milk I was originally skeptical of this new avatar was this new impostor going to get my vote? The only way to find out was to go and get myself some ... the result was a new love affair with Cadbury's ... Silk is a gorgeous sticky, slightly gooey, all round 'chocolatier' chocolate, it's smoother and has a lower melting point thus making a mess sooner than any other chocolate in India. But it's every bit as addictive as the girls in the bharatnatyam recital advert for the product make it seem. This here is the link to the contest where their winner will get a Fairytale Trip to Paris for two!! What a lovely trip down memory lane! I;m not much of chocolate person, but I am always game for a 5 Star. And I did like the Orangello because I am partial to the orange-chocolate combination. And what can one say about Dollops? There was an outlet a building away from where we lived, and we'd go there for a weekly treat after Sunday dinner. My brother always chose weird colored flavors like Green Devil (and then freaked out the next morning). Good times. Such a lovely post! Brings back a lot of memories. I miss Picnic too. I also remember in the 90's there used to be a toblerone-like bar called Magic Moments, and this great candy bar with nougat and puffed rice called Break. Miss those. wowee!!! I have had a loved the turkish delight cadbury's....brings back so many memories! When I was in class vi I stood first. My parents & sister were happy for me. The same day when my sister came from tution, she closed my eyes & asked me to open my mouth. She put a piece of some chocolate but after few seconds the finest chocolate spreaded to every corner of my mouth, caressing my senses along the way. I just hugged my sister & snatched the chocolate. In those days DAIRY MILK SILK had just arrived in market & didn't know about it. I was really happy that cadbury manufactured such an tasty chocolate i.e. "DAIRY MILK SILK". How lovely to come across someone who actually remembers Cadbury's Plus and Krisp! I have been searching for the two items since so long, and it is sad to know that they do not exist. I do wish Cadbury's read this post. Visit to Bungalow 9 - a lesson in Hubris.